Earlier this week I announced that I would be reading and reviewing Bart Ehrman's latest book, Jesus before the Gospels: How the Earliest Christians Remembered, Changed, and Invented their Stories of the Savior (HarperOne, 2016). Ehrman is perhaps one of the most famous NT scholars in America, perhaps in the English-speaking world, in part because he is such an interesting writer and thinker, in part because his biography provokes admiration or excoriation, depending on one's perspective. 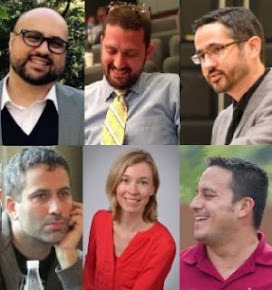 No matter the reason for his stature, I was excited when I first heard rumors, in the aftermath of a 2013 panel on memory and the historical Jesus, that Ehrman was going to engage memory studies. I was part of the early wave of Jesus historians and NT scholars who have turned to questions of memory—and especially social/collective memory—in order to recalibrate the study of Jesus and Christian origins. I care about this topic, and adding a name as big as Bart D. Ehrman to the list of historians recognizing the importance of memory in some way justified my own work. At this point, I've only read Ehrman's Introduction (pp. 1–16), so I'm not yet ready to praise or critique the volume. But we can note how Ehrman approaches his subject, recurrent patterns in his discussion, and the expectations he establishes for the rest of the book. Ehrman says early on that he spent "about two years" spending his free time "doing nothing but reading about memory" (2). He specifically mentions three areas of memory studies: cognitive psychology (the study of individual memories), sociology (the study of social memory), and cultural anthropology (the study of oral cultures and unwritten traditions). These are all very good and vibrant areas of research; NT scholars are vigorously engaging each of these fields (individually and in various combinations), so Ehrman's voice joins a chorus-in-progress. And so I was surprised by his presentation of NT scholarship as a whole, which (as I've said) has increasingly engaged questions of memory over the last decade-plus. In the Introduction, Ehrman does not refer to any "New Testament specialists who have delved into such fields," so I cannot evaluate his claim. Moreover, throughout this introduction he cites only one work of one memory theorist (Abraham Lincoln and the Forge of National Memory [University of Chicago Press, 2000], the first volume of sociologist Barry Schwartz's two-volume work on American memory of Lincoln). The Introduction, in other words, does not offer very much to substantiate either Ehrman's claim to have read broadly ("for about two years now") in memory studies or his claim about NT specialists. This is, however, only the Introduction, and I hold out hope that more meaningful and substantive engagements will come in the remaining chapters. When Ehrman does acknowledge that "this book will not be the first to address such issues" (12), he links his work with Rudolf Bultmann and the form critics and never mentions contemporary scholarship on questions of media, memory, and testimony. He laments that "there is not a single book available on the topic for a general-reading audience, a book that explains the form-critics' views or delves into the issues they [!!] raised in an non-technical (and interesting!) way" (13; my italics and exclamation marks). If Ehrman were providing a nontechnical, interesting survey of contemporary NT scholarship on memory and media, I would cheer. I am disappointed, however, to find that he seems to intend to present the nearly century-old work of the form critics, with the subtle (but false) implication that he's the first to do by appealing to memory studies. At that time [in the 1970s], I heard views from some of my teachers that many people continue to hear today: the Gospels are based on eyewitness reports; they can therefore be accepted as historically reliable; people in oral cultures (such as in the ancient Roman world) had better memories than we do today; and such people always preserved their traditions about the past accurately, since they were not literate and so could not learn about the past from writing. But we forget a lot of things as well—not just our keys, and the names of people we are sure we ought to remember, but also factual information that we used to know and events, even highly important events, that have happened in our lives. Even more disturbing, we misremember things. The older we get the more we realize: we sometimes remember clearly what took place and how it took place. Then it turns out we are wrong. These repeated comments about memory and the Gospels, all of which emphasize the multiple layers separating the original eyewitnesses to Jesus' life and teachings from the authors of the Gospels, betray a simplistic conception of memory. I highlighted a phrase from pp. 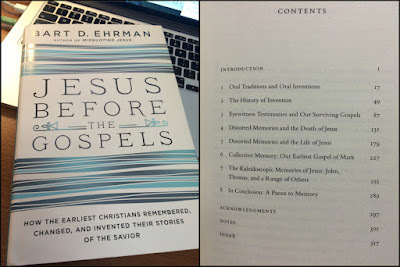 3–4, above: Ehrman refers to "that link of memory from Jesus to the writers of the Gospels." Like a chain wherein one link is attached to another link, that second link is attached to a third link, and that third link is attached to a fourth link, and that fourth link is separated and distinct from the first link by two intervening links, Ehrman writes as if memory moves from individual to individual in a unidirectional manner. Memory, however, is not like a chain. Memory is like culture. Individuals create culture as they live and move and have their being together in society, but (and this point arises especially in the work of Barry Schwartz, whom Ehrman cites) individuals are themselves created by the cultures they inhabit. Memory (like culture) is not a chain but a web. 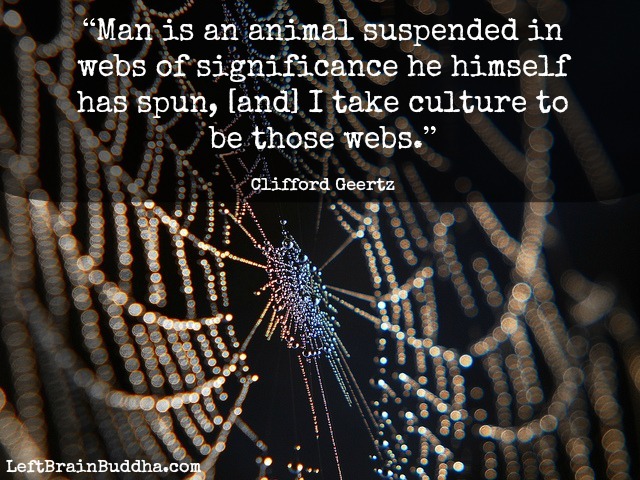 Moreover, memory (like culture) is not a web of facts (which are either true or untrue, accurate or inaccurate) but rather "webs of significance" (Clifford Geertz, Interpretation of Cultures, 5) in which individuals and groups find and make (these are not the same thing) meaning. This broader understanding of memory poses problems for Richard Bauckham, who seems to assume that eyewitnesses have direct access to the reality and then subsequently offer interpretations of that reality. I suspect, on the basis of Ehrman's repeated characterizations of memory and memory transmission as akin to the Telephone Game, that this broader understanding will likewise present problems for Ehrman's work. We shall see. A brief interview with Jens Schröter, Professor for Exegesis and Theology of the New Testament and New Testament Apocrypha at the Faculty of Theology, Humboldt-University in Berlin. Professor Schröter, you have been active in the Jesus research for many years now. In your opinion, where does the Jesus research stand today? Jesus research since the time of enlightenment in the 18th and the rise of historical criticism in the 19th century has achieved many remarkable and important results. From historical-critical evaluation of the available sources we have learned to distinguish between historically reliable traditions and later legendary embellishments or pure fiction. We have also learned that a portrait of Jesus has to interpret his message and activity within the context of contemporary – in the first place: Galilean – Judaism. It also must explain why he could be understood as the final and decisive envoy who represents God on earth. 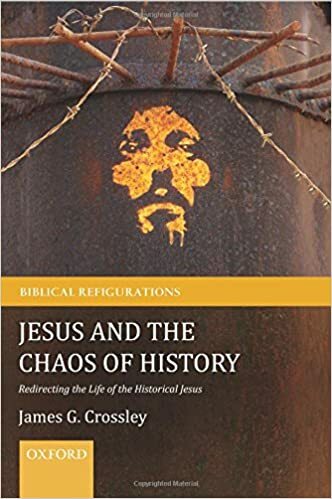 An important development, at least from my point of view, in more recent Jesus research is that the epistemological and hermeneutical presuppositions of historical criticism themselves have come under critical scrutiny. Several scholars have pointed out that a historical portrait of Jesus is not just the result of historical-critical evaluation of the data, but by the same time the product of historical imagination. This situation has led to an interesting bifurcation in more recent scholarship. There are scholars who prefer to stick with the narrative accounts about Jesus’ activity and fate in the Gospels, whereas others use the historical material – Jewish and Christian writings, archaeological data and so forth – to get closer to the “real” Jesus “behind” the texts. In my view, both ways suffer from inadequate reflection about the character of a historical portrait of Jesus. Data or events from the past are only accessible by way of interpretation from a current perspective. Therefore, the past can only become meaningful by way of connecting the remains from the past that are still available in the present to a more or less coherent picture. In this way the past becomes “history”. 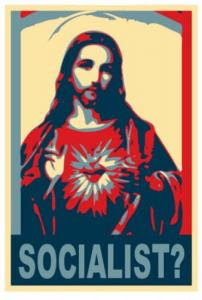 This is also true for portraits of the historical Jesus. Such portraits are important to base Christian interpretation of reality as well as ethical norms of Christianity on the traces of the past, i.e. on Christian origins. But these portraits are always products of the historian and therefore are due to corrections and revisions as it is the case with all other historical descriptions as well. Interpretations of the data are therefore always “in front” of the texts and will never get behind them. In other words: The past is gone, what is still accessible are our interpretations. This conjunction of traces of the past and historical imagination is what I would call “memory”. Jesus research in my view can gain importance for Christian theology as well as for discourses on human life and ethics by pursuing historical Jesus research as “Jesus memory”. Considering a 300 year history of Jesus research, are there really any new insights about Jesus to be expected? Could it be that our knowledge of Jesus does not substantially change and merely the paradigms of research shift? No one can predict, of course, whether fresh perspectives on Jesus will emerge, e.g. on the basis of newly discovered texts or other historical material not known so far. But also our perspectives on the historical data are in constant flux. Therefore, Jesus portraits from the 19th century differ considerably from those of the second half of the 20th or the beginning of the 21st century. This is partly caused by newly discovered material, as e.g. the Dead Sea scrolls, non-canonical gospel texts and archaeological findings from the Galilee. But it is also the result of new perspectives on material that is known already for a long time. Therefore, our perspectives on Jesus may be altered by new material as it can be transformed by new views on old texts. Where do you see the Jesus research in the future? Do you think that one day a scientific interest in Jesus will cease? I am quite confident that interest in Jesus will last as long as the Bible and Christian traditions can contribute to the understanding of our world and of human existence. You can compare this with the interest e.g. in Homer or Plato. Their writings are of interest as long as they are meaningful for our understanding of culture, humanity and ethics. With regard to the Bible and the figure of Jesus this is even more the case because Christianity is a religion – or a „philosophy“, if you like – with many adherents who try to base their lives on the Bible and the life and message of Jesus. As long as this is the case there will also be academic interest in Jesus. I do not know how an all-good and all-powerful God can exist if it simultaneously true that Midnight Special is not showing anywhere in Dayton, OH. I don't ask for much. I just want the Giants to win the World Series every other year and for a good movie every so often. So in my resignation to wallow in the chaotic fallenness of worldly depravity, I settled for Batman v Superman. I am a man of a particular age, you see, and I have developed high tolerance for bad sci-fi and comic-bookish movies. To be honest, I am sometimes glad to see really poor reviews of such films so that my expectations are sufficiently low. Batman v Superman, however, was not helped by the expectations game. It was reported to be bad and it was worse. It is not uncommon for superhero movies to play with a God/messiah motif or theme. Sometimes it is understated, like Superman or Spider-Man in a cruciform pose. Sometimes it is an echo. E.g. Dr. X saying, “It’s the greatest gift of all, to bear their pain without breaking.” Sometimes these narratives get more overt with a religiously motivated plot line (e.g. the train wreck that is Netflix's Daredevil). Batman v Superman might be the most overt of recent efforts to marry religion to a comic book narrative. There you have it. A veneer of sophistication meant to mask an otherwise dull movie. Perhaps with this nod to an old theological problem, the audience will overlook the simplistic portrait of good and evil, the incoherent motives of the key characters, the inability of the directors to cut scenes with any elegance, the clumsy political subplot, or the failure to render any of the characters relatable. On this last point, there is no reason for the audience to care about about the outcomes of any person in the film. The theodicy theme functioned as chocolate sprinkles atop a steaming pile of Chet from Weird Science. I could write more. It might be interesting to explore the use of theodicy to humanize an antagonist (something this film fails to do) or to complicate a protagonist (again, failure). But wouldn't we all be happier if we could just convince our local theaters to play Midnight Special? I'm looking at you Neon. Bart Ehrman's new book, Jesus before the Gospels: How the Earliest Christians Remembered, Changed, and Invented Their Stories of the Savior (HarperOne, 2016), arrived in today's mail. I'm looking forward to reading this, Ehrman's first foray into memory studies as part of historical study of Jesus and the Gospels. In the coming weeks I'll post my review of each chapter here, so watch this space. If you're currently reading this book, I'd love to hear and engage your thoughts and reactions. I'll include Ehrman's table of contents below. 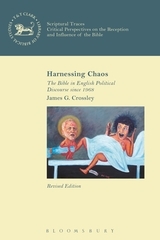 From Culture Matters: "The Death and Resurrection of the Radical Jesus, from Life of Brian to Jeremy Corbyn"
If you want to find out if Jesus and the Bible aligns with your politics, don't forget the new updated edition of Harnessing Chaos: The Bible in English Political Discourse since 1968, is out very soon! As we build to the most important day of the Christian calendar I imagine that some of our readers (both Christians and other) will want to know how and why Christians celebrate the resurrection. Dr. Pitre explains the liturgy and scripture used in Catholic worship. Much of this was new to me as a protestant Christian. of the gospels and, concomitantly, their views of the development of the Jesus tradition. further that these two models are methodologically and epistemologically incompatible. while maintaining the methods of the first model. Check out the video I did with the great people at Eerdmans on my new book, Jesus and the Last Supper, that was released in November. A special word of thanks to Rachel Bomberger and Ahna Ziegler for being so gracious (and so much fun to work with!) over at the Eerdmans Author Interview Series. Funny fact about me: I once lost my job because I put my name on a book. I was told (as I was being shown the door) that the ideas in the book wouldn't have created the problem if I had buried them in a dense tome laden with academic jargon. Thus it wasn't that I was openly invested in historical criticism, it was that I did so in an accessible book (so accessible now that you can buy it - within the saturated market of amazon.com - for less than $2). 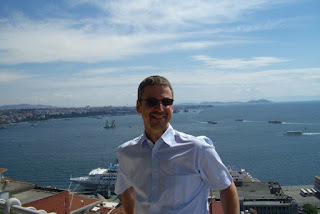 Shortly after I was forcibly uninvited from that institution Chris and I started this blog. Needless to say: we felt that greater accessibility was a virtue and not a vice. For the last four years I have been a bit wary of allowing anonymous comments here. On occasion these comments have been very fruitful. More often than not, our policy to include anonymous comments has been an invitation to trolls (i.e. commenters who hijack the conversation for the sake of controversy). Sometimes folks just want to spread hate which, in this saturated market, is free. Luckily I have not needed to play the role of adjudicator most of the time. The internet is still something like the Wild West and us non-digital natives are still learning how to act with civility. I am now convinced that intellectual integrity involves functioning within a community committed to intellectual integrity. Most often, this requires the risk of using one's own name (there, of course, are exceptions). 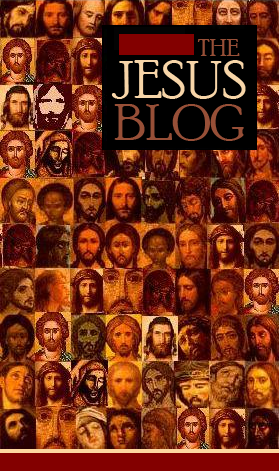 After discussing the matter with the other contributors, The Jesus Blog will adopt an adjudication process that (almost always) requires commenters to use their names. Now allow me to bring in a few caveats. If you want to simply place your name at the top of a post (à la St. Paul) you are welcome to do so. If you want to post with a pseudonym (cf. St. "Paul") you are welcome to do so. Also if your post requires anonymity for some reason and you state your reason at the top of your post, you might have some luck. If your post is just too good not to post, we will almost certainly post it. Finally, this particular comments thread (below this post) will allow as many anonymous posts as you can throw at me (sans trolling comments). Feel free to make the opposite case or voice your dissent to the new policy. I cannot promise to read all of these posts because I will be thinking about baseball for most of the day (#evenyear). But I am am willing to be proven wrong. Thank you for your continued participation within this virtual community. Many thanks to Cornelis Bennema and Albert Lukaszewski for their reviews of Jesus against the Scribal Elite in the most recent Review of Biblical Literature. Both offer ultimately very positive reviews of the book, for which I am grateful. Bennema has, in my opinion, best understood and represented the book. His critical feedback is helpful. Enlisting Jeremias, he suggests that it might just be possible for an illiterate manual laborer to have climbed the educational ladder and eventually progressed to become a scribal-illiterate person, though he acknowledges that more evidence would be needed in the case of Jesus. He's right about it being technically possible, though I never denied that (Rabbi Akiva is said to have climbed up from poverty, but by marrying into wealth), and also right that more evidence would be needed to see Jesus this way. He also wonders if the association of Jesus with wisdom could have pointed to more educational qualifications on Jesus' behalf than I'm inclined to see. Bennema also asks if Luke really presents Jesus as a scribal-literate teacher. My answer, of course, is an unequivocal "yes" based on the fact that Jesus is portrayed as a reader in Luke 4, but Bennema appeals to the role of the Spirit and thinks it might not be as clear. I'm very honored that Bennema notes many positives in the book and concludes that it is "a very fine piece of work." Lukaszewski also offers an ultimately very positive review, describing the book as "persuasive" and "the most innovative approach to the question." There are also a few things that need correction in his review, however. First, he criticizes me for placing Samuel in the Ketuvim. He does this because I mention 2 Sam 7//1 Chron 17 as a general background to the debate over Psalm 110 that Jesus initiates in Mark 12:35 (p.118). But I nowhere claim that Samuel was in the Ketuvim (because it wasn't), and only three pages before that discussion explicitly placed Samuel in the Nevi'im (p.115). Second, Lukaszewski claims that my presentation of memory theory is "overly general and . . . insufficiently comprehensive." I'd respond further, but there is no more specific criticism offered (other than that it is postmodern), which sure leaves this author feeling like the shot fired by his reviewer was also "overly general and . . . insufficiently comprehensive." Third, Lukaszewski butchers my claims about historical method and assumptions. He says, "[Keith] first states that he is assuming or affirming the historicity of the pericopae he discusses (8), then that the would accept the gospels as historical sources (102), then that he assumes that the actions of Jesus contained therein are historical (103), then that the historicity of the accounts is not important for his argument (111-12). This signifies methodological ambiguity that is unclarified in the present work." "He first states that he is assuming or affirming the historicity of the pericopae he discusses (8)...."
What I actually state on p. 8 is that I'm not arguing for the historicity of every single, individual conflict narrative, but rather "that debates of the sort occurred." It's precisely the historicity of each pericope that I don't discuss. ". . . that he would accept the gospels as historical sources (102) . . . "
I don't even know what to say about this one. Here's what I really say: "If one is to use the Gospels as historical sources, then, one must consider not just who Jesus was but also who he was perceived to be by those around him." So, yes, I do imply that I'm going to use the Gospels as historical sources in the sense that one would use any ancient text as a historical source. If Lukaszewski just doesn't think historical research is possible at all with the Gospels, fair enough. He should say that, though, instead of misrepresenting me as naively taking the Gospels as historically reliable.
" . . . then that he assumes that the actions of Jesus contained therein are historical (103). . ."
Again, I don't assume that he did everything attributed to him and don't say that. What I actually say on p.103 is more nuanced: "I here take it as a safe assumption that Jesus did at least some of these things in addition to teaching in synagogues." ". . . then that the historicity of the accounts is not important for his argument (111-12)." Annnndddd, again, not . . . exactly . . . what . . . I . . . said. Here's what I actually say: "The historicity of each of these accounts is not important for my argument. . . . My concern is with the general claim of all four Gospels that the conflict between Jesus and the scribal elite centered predominantly on two issues: Scripture and authority." 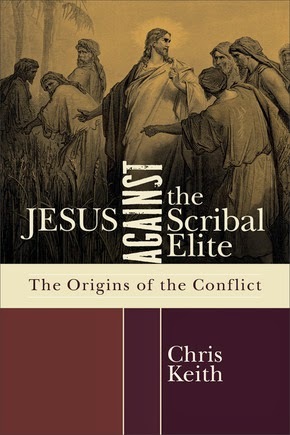 So, in reality, I am consistent throughout the book that I'm not focusing atomistically on the historical value of individual pericopae but am looking at the historical value of broad claims that Jesus was in conflict with scribal authorities. One can, of course, disagree with those claims, but those are my claims, not what Lukaszewski reports. His failure to understand the memory approach does make a little sense in light of these misrepresentations, though. At any rate, you can't win them all and I remain grateful for the attention given to the arguments by Bennema and Lukaszewski, and for their overall very positive reviews. I'm especially glad that both noted that the book is enjoyable to read. Dr. Pitre argues that Jesus' so-called "brothers" are actually cousins of Jesus (sons of Cleopas). The term ἀδελφός can sometimes mean cousin. While this has been a talking point among Catholic scholars for centuries, Pitre offers a robust defense of this view using evidence from the Gospels of Matthew, John and Eusebius. This is opposite to the view I take in my The Wife of Jesus: Ancient Texts and Modern Scandals. I argue that the "cousins" (ἀδελφοὶ) hypothesis originated from an assumption of Mary's perpetual virginity. More importantly, as I discuss in the book, second and third century Christians were woefully unaware of Jesus' pre-public life and often made guesses to fill in the gaps of Jesus' life. I will also add that many of the names used in the Gospels were quite common. It is therefore very difficult to know who is who. I confess that I am on precarious ground in making this statement as it smacks of anti-Catholicism (for which Protestant theologians have often been guilty). I am willing to be challenged along these lines. Is my reading a reaction to Catholic apologetics (thus apologetic in itself)? Or is it the most natural reading? Two more details should be addressed. I do not think that either of these is load-bearing in and of themselves. (1) The first is one that Richard Bauckham has underscored. Mark 6:3 reads, "Is not this the carpenter, the son of Mary, and brother of James and Joses and Judas and Simon? Are not His sisters here with us?" And they took offense at Him" (NASB). "Joses" is a diminutive form of Joseph. Could it be that this "Joses" was so-named because his father was named Joseph? Again, these names are all very common, Joseph could have been a family name. (2) Mark 3:32-34 reads: "A crowd was sitting around Him, and they said to Him, "Behold, Your mother and Your brothers are outside looking for You." Answering them, He said, "Who are My mother and My brothers?" Looking about at those who were sitting around Him, He said, "Behold My mother and My brothers!" (NASB). There is a wordplay exploiting familial intimacy here between biological brothers and spiritual brotherhood. Does this interplay work as well with cousins? I recommend having a look at Dr. Pitre's short vimeo linked above before commenting. Even if I disagree, I find Pitre's argument a very thoughtful and judicious way into the topic. For those who were interested in Larry Hurtado's essay on "Oral Fixation and New Testament Studies," where he criticizes some "performance critics," you will want to check out the latest issue of New Testament Studies. Kelly Iverson has struck back on behalf of the performance critics with "Oral Fixation or Oral Correct? A Response to Larry Hurtado." Hurtado then responds with "Correcting Iverson's 'Correction.'"